Our product range includes a wide range of cinnamon bark oil and vanilla extract. Specific Gravity 1.01000 to 1.03000 @ 25.00 Degree C.
Refractive Index 1.57300 to 1.59100 @ 20.00 Degree C.
We are involved in offering Cinnamon Bark Oil to the customers. This oil is extracted using steam distillation process from dried inner bark and reddish brown in color. Apart from this, this oil is anti-microbial and anti-bacterial that providing protection from infection. Primarily Contains 35 – 60% Thymol, P-Cymine (10-16%), A-Terepinene (10-16%), ß-Pinene (4-5%) And Dipenene (4-6%), Cinnamon Bark Oil; Cinnamaldehyde, Eugenol, Benzaldehyde, Pinene, Cineol, Phellandrene, Furfurol, Cymene, Linalol, Cinnamon, Leaf Oil; Eugenol Acetate, Cinnamaldehyde, Benzyl Benzoate, Linalol. 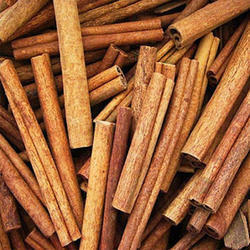 Cinnamon Bark Essential Oil Has Good Antiseptic Properties And Is Perfect For Topical Applications. Its Pleasant Scent Also Makes It Perfect Additive To Creams, Soaps And Lotions. Further, It Also Used For Its Warming, Uplifting Characteristic Effect. 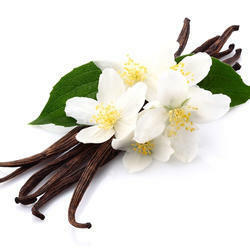 We have marked a reputed position in the market by providing a high-quality range of Vanilla Extract. This substances added to food to preserve flavour or enhance its taste and appearance. Looking for CO2 Extracts Oil ?